is the UK's leading resource for everything Flamenco and is run by and for Flamenco aficionados. 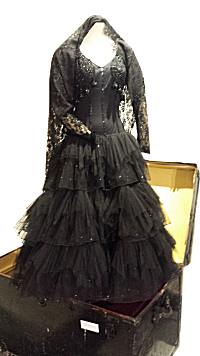 Our extensive Flamenco and Spanish Dance archive includes period costumes and shoes, shawls, posters, old books and photos, videos, dvds, vinyl records, etc. This resource is consulted by bodies from the Spanish Embassy to leading theatre and dance companies. Hire facilities are available for fully insured Film, TV and theatrical costumiers. 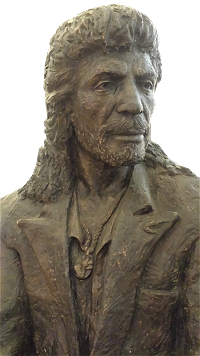 has often worked with leading theatres where we present exhibitions and displays of Flamenco related material e.g. Sadlers Wells, the Royal Albert Hall, Barbican, Queen Elizabeth Hall and the Royal Festival Hall. You can with Duende Flamenco Tours … you can be a traveller .… not a tourist ! Benefit from our 25 years experience of exploring Spain. Duende Flamenco Tours offer small group travel experiences to the greatest Flamenco cities of Spain - Seville, Jerez, Cordoba, Madrid, Barcelona. And now, new for 2016, France's finest Flamenco Festival Mont de Marsan. From long weekend breaks to 10 day tours, all fully inclusive, and with the personal attention of two knowledgeable guides to show you the best of each city and the best Flamenco. 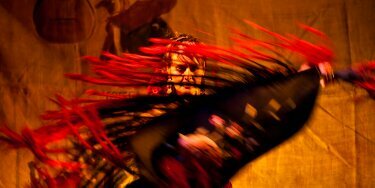 has a proud history of presenting Flamenco with it's associated dance company, Cancion Gitana. This International company has toured the UK and Europe specialising in Flamenco dance theatre presenting well reviewed shows such as Goya, Cafe de Chinitas, Cafe Cantante, Casa de Bernarda Alba, Spanish Sketches, The Fire Shoes (a children’s show) and Lament for Lorca, a biography of the Spanish poet. Performances have been as small and intimate as dancer and guitarist for a wedding party through restaurants, corporate events, product launches to full scale theatre shows and outdoor festivals in front of thousands. works closely with Helena’s Flamenco school. Helena "La Leyenda" has been dancing Flamenco for over 25 years, learning and perfecting her art in the major Flamenco schools in Spain for example, Amor de Dios in Madrid—widely considered to be Spain’s leading Flamenco school. Helena was formerly resident Flamenco teacher at Sadlers Wells and teaches classes and workshops throughout Southern England and in Spain. Helena "La Leyenda" teaches workshops at schools and colleges and has taught groups of all ages, abilities and disabilities. A favourite form is an introductory talk of 10 minutes in morning assembly, then a series of classes throughout the day. These are then followed by a 20 minute or so performance for the school and parents at afternoon collection time, approximately 3pm. Helena is usually accompanied by a guitarist. Helena’s client portfolio includes BBC 1, ITV 1, Channel 4, BBC Radio, Sadlers Wells Theatre, Glyndebourne Opera House, Sussex University, Buckingham University, Portsmouth College, University College, London, West Dean College, Goodwood House, Bedales School, Schools – many - Secondary and Primary, The Womens Institute, Age Concern, WRVS, Strikealight Arts, Roots Around The World and many more.